Demand has increased over the years for Big Taxis in Singapore. The reason for this could be the increase in the number of people going for short getaways as well as the increase in the number of tourist coming to Singapore. People nowadays have the trend of traveling with a group of friends and families and of course not to mention the luggage’s that they carry together, A standard taxi is just not enough to fit everyone and everything. That is why a 7 Seater Maxi Cab in short is becoming increasingly popular in Singapore. The 7 Seater maxi cab Singapore is a Maxi Taxi that can comfortably fit 7 people and also has a medium sized boot space to store luggage’s, boxes and bulky items. The size of the boot is so spacious that people even book our 7 Seater Cab for Bulky Items Transfer. Going for a cycling venture at Pulau Ubin or Bintan Island? No problems. You and your bicycle can fit into our 7 Seater Maxi Taxi. The 7 Seater Taxi sg can fit 2 bicycles and 3 to 4 passengers without a problem. What makes our Maxi Cab Booking Singapore services more interesting is the fixed Maxi Cab Charges we offer for our Maxi Cab Services. Say no to peak hour surcharges, higher prices because of traffic congestion, holiday peak charges and ERP charges as our Maxi Cab Price is fixed for all our Maxi Cab Transfers. Our 7 Seater Taxi Singapore Service is most popular with clients who require Maxi Cab to Changi Airport and Maxi Cab Airport Transfer services (Arrival). No more waiting in long queues to find your way home or to the hotel. We also monitor the flight landing time for our customers and pick them up from the airport accordingly. 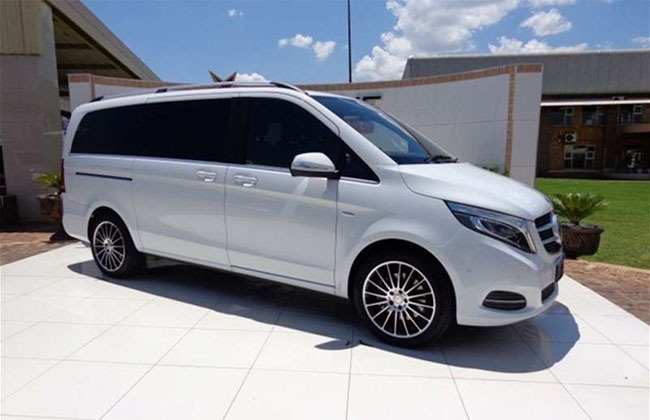 At Book a Maxi Cab, we are providing the friendly service and value our clientele, that is why we offer a 45 minutes complimentary waiting time for our Maxi Cab Transfers from the airport. Many of our clientele who book our Maxi Cab Airport Transfers have commented positively about the Maxi Cab Comfort level. This is because our 7 Seater Maxi cab can comfortably carry 7 passengers and their medium-sized luggage’s. If you need to book a Cab for 7 people to move to multiple points within a stipulated time, book our Maxi Cab Hourly Booking Service. Unlimited movement, a designated chauffeur to a driver you and only pay for the number of hours you use are some of the many perks when booking Our Hourly Maxi Cab Booking service. Our 7 Seater Taxi is also ideal for sightseeing, weddings, and even shuttle services. The Singapore Maxi Cab Hourly Booking is also ideal for sending invitations for a special occasion to friends and relatives. Contact us through our Maxi Cab Number for a hassle-free phone Maxi Cab Booking. You could also choose to do a Maxi Cab Booking Singapore via our Maxi Cab Online Booking portal. There is no additional fee for a Maxi Cab Advance Booking. So why are you waiting for? book maxi cab with us for the best Maxi Cab Rates.